It takes equal measures of determination, integrity and vision to stick to your guns. Most young rock/pop groups would just give up if things weren’t seen to be going their way, but five-piece Irish band Walking On Cars look adversity in the face and laugh at it. Walking On Cars took their initial baby steps in 2010. The five school friends – singer/lyricist Patrick Sheehy, pianist Sorcha Durham, lead guitarist Dan Devane, bass guitarist Paul Flannery and drummer Evan Hadnett – dived headfirst into the creative pool, immediately writing quality songs with ease. By the end of that summer, the band played their first gig in a youth café in their windswept hometown of Dingle, County Kerry. It took a while, however, for such early enthusiasm to transform itself into the level of commitment it takes for any band to jump several rungs of the ladder, and so it wasn’t until mid-2011 until they took matters further and far more seriously. “I got home from college,” says Patrick, “and that’s when we got stuck into it. I didn’t go back to college, because we thought we’d give it a shot.” Bang: they began to record demos. Bang bang: they rented a house in the Dingle peninsula. Bang bang bang: tucked away in the wilderness, they listened to loads of music. “The place we rented was a really old cottage,” reveals Sorcha. “We had no television, no phone, no Internet, no transport. We were there for six months – just our equipment and us. It was an amazing time, ideas were flowing constantly.” Within a year, Walking On Cars had gained national prominence not only by winning the Red Bull Bedroom Jam 2012 competition but also through extensive radio play of their infectiously melodic debut single, Catch Me If You Can, which reached no.27 in the Irish Charts and stayed there for over 20 weeks. (The song also went to No.1 in the iTunes chart, while YouTube views are currently over 500,000) The band’s second single, Two Stones, reached no.12 in the Irish charts, while YouTube views are currently over 600,000. At this point in the band’s development, however, there is a collective sense of asking what’s going to happen next. “We’re at a stage now,” agrees Sorcha, “where we have to make huge decisions about the next phase of our career. At present, we’re completely independent – we finance everything, and that’s been both exciting and challenging. We gig all over the country, but we don’t pay ourselves, as everything goes back into the band.” From such dedication arise levels of creativity that would make most bands hang up their instruments in frustration and envy. The band’s videos (you can view them on YouTube) provide proof of their skill at intercutting serious themes with sharply outlined narratives and images. As for the music, Walking On Cars’ recorded output to date includes the four-song EP, As We Fly South, which was recorded in Attica Studios, Donegal, and produced by Tom McFall (R.E.M, Snow Patrol, Bloc Party, Editors). 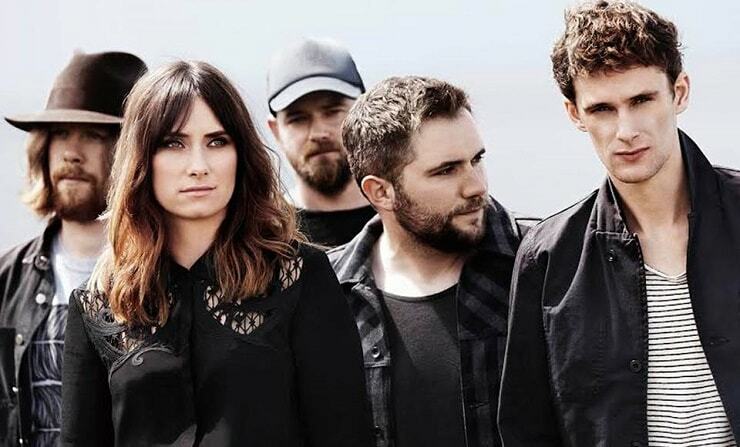 The music is untypical of the current crop of Irish rock/pop contenders – by turns sweeping and indelibly tuneful, it quietly boasts a widescreen, cinematic quality and a keen sense of its own hook-driven significance. Lyrically, meanwhile, the overall themes address issues of social challenges, financial tribulations, personal angst and troubling matters of the heart/soul/head. In less talented hands, all of this would come across as formulaic, but Walking On Cars effortlessly understand the difference between authenticity and assimilation. The following months will see the band take time off to write a batch of new songs that will surface on their debut album. Focused, diligent, fast on its feet (the band name didn’t appear out of thin air, you know), and eager to prove to all and sundry that what they have is world class, Walking On Cars used to be waiting in the wings. Time for centre stage is fast approaching. Catch me if you can, Catch me if you can. And I’m a little bit scared tonight. So I can smile again. Take me by the hand, Take me by the hand. ’cause I’m a little bit scared of life. Heads up, show down, Come home with me. I’m a little bit scared tonight. And we’re just lovers for the night. Yeah we can leave it there. Oh won’t you play pretend? I’ a little bit scared, I’m a little bit scared tonight.